The last couple of months have been intense. I'm the lead developer of GNU MediaGoblin, and about a month ago we launched a crowdfunding campaign we've been running hosted on FSF infrastructure. At the time of writing, we have a little bit less than a week left. It's not clear if we'll make the full goal, but it is clear that the project has been a success, and I'm thrilled that we've had the chance to jump in and do it. 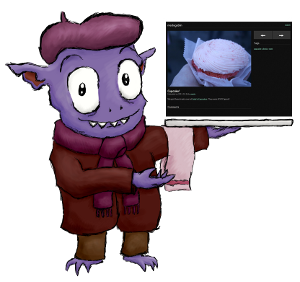 MediaGoblin is a decentralized media publishing system for the web for images, audio, video, and more. You can think of it as a free as in freedom alternative to proprietary web services like Flickr, YouTube, SoundCloud, and more. The crowdfunding campaign we did was done in a style similar to those that are becoming popular on sites like Kickstarter and IndieGoGo, except we are running on the FSF's infrastructure. This is the first campaign to be launched on this kind of scale with the FSF's systems (and as far as I know, the first to be launched in this style under any nonprofit's infrastructure). But we're happy with how it's gone: it's great to work with an organization that's directly aligned with our ideals, to know that the infrastructure hosting it is all free software, and to know that the overhead goes to supporting a nonprofit with directly aligned ideals. And it's been great for our messaging too: people know the FSF doesn't support just anything, and that means MediaGoblin is Serious Business. We've got a ton of work ahead to make the world's most beautiful media hosting future come true. We're off to a good start, and with this campaign wrapping up, we'll be able to put some focus into things. But this project needs a lot of help; we encourage you to check out mediagoblin.org and join our community. The future of media publishing is powered by you!